Though strategic litigation and test cases make essential contributions to the rule of law, there’s concern that they’re being abused. And, as funding comes under attack, there’s a greater need than ever for pro bono lawyers to take on test cases to ensure access to justice and accountability. Following the fall of communism, the European Roma Rights Centre (ERRC) identified a significant problem with the educational segregation of Roma children in parts of Central and Eastern Europe. Roma children were ending up in what were termed ‘special schools’, supposedly set up for children with intellectual disabilities, and thus segregated from mainstream schooling. In 1998, the ERRC decided to investigate. To try and bring about reform, it became apparent that the ERRC needed to identify a test case to put before the courts. In order to find the right applicant it interviewed hundreds of Roma families in the region and found 18 Roma children in the Czech Republic to be the test case. The legal angle the ERRC adopted was indirect discrimination: entry tests to mainstream schools were set for all children but they were biased against Roma children because they focused on Czech customs and language. The Roma children often failed and so were subsequently put in the special schools. The centre found that Roma children were twenty-seven times more likely than non-Roma children to be sent to a special school. With the backing of the centre, the children applied to the domestic courts and then to the European Court of Human Rights (ECtHR), challenging segregation on the grounds of indirect discrimination. After almost ten years of investigation and litigation, with interventions by other non-governmental organisations (NGOs)such as Interights and Human Rights Watch along the way, in 2007the case of D.H. and Others v Czech Republic 57325/00  ECHR 922, came before the ECtHR’s grand chamber. It found in favour of the applicants. The D.H. and Others case shows how test case litigation is pursued as a deliberate strategy to effect systemic change, hence the development of the term ‘strategic litigation’. This use of public interest litigation as part of a wider campaigning agenda has increased over the past decade or so both in the UK and internationally in line with an increased interest in human rights. In the UK, there are various public interest challenges based on the impact of austerity measures with cases being brought, for instance, against changes to the welfare benefits system. Ten families with disabled members affected by a reduction in housing benefit because they had a spare room (the so-called ‘bedroom tax’) brought a case in March of last year on the grounds that the reduction was discriminatory [see the UKHRB post on that case here]. They recently lost in the Court of Appeal. The main mechanism for taking test cases in the UK is judicial review. According to statistics produced by Oxford University in 2012, there has been a steady increase in such cases since the 1970s: in 1975 there were a few hundred cases and by 2011 around 2,500 (these do not include immigration and asylum cases). The same has happened internationally with an increased interest in international litigation by NGOs such as the Justice Initiative or the Centre for Justice and International Law. In Europe, after the collapse of communism in the 1990s, the various former communist countries joined the Council of Europe and so came within the ambit of the ECtHR. Since then, there has been a significant increase in cases:ECtHR applications in 1999 were just over 8,000 and in 2012 just over 65,000, according to ECtHR statistics (judgments were 177 in 1999 and 1,000 in 2012). Cases are brought before national courts as well as supra-national organisations such as the African Commission on Human and Peoples’ Rights (the African Commission), the ECtHR and the Inter-American Court of Human Rights. A strategic case is pursued in order to achieve some degree of law reform beyond the specific case being brought. This may be by enforcing laws already in place, clarifying laws that are untested, challenging the way that laws are enforced (such as the D.H. and Others v Czech Republic case), or even ensuring a law is not enforced – in a case brought in the 1990s by adults who had been prosecuted for sado-masochistic activity, which concerned whether adults engaged in such activity could consent to it, although the law was not changed, no further criminal prosecutions were brought (Laskey, Jaggard and Brown v UK 1997 24 EHRR 39). It also raises awareness of the issue in question as the court proceedings often bring press coverage. James Welch is Legal Director at civil liberties organisation Liberty, an organisation well-known for its sophisticated approach to the press. 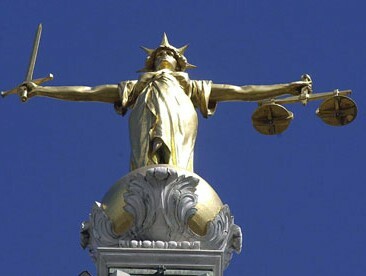 He says: ‘Our cases bring a campaign to the attention of the public which can foster, hopefully rational, discussion’. It can provide important legal argument by airing difficult areas of law (and with the use of third party interventions, can bring in significant expertise in a specific area), and can bring pressure on governments to reform legislation. This tension between client and cause is eased in the US where there is a more common practice by NGOs of specifically recruiting applicants once a problem has been identified (as was done in the D H and Others v Czech Republic case) rather than having to rely on an applicant who may not appreciate or be interested in the broader issues. The applicant may, of course, lose their case – and for any number of reasons; litigation carries this inherent risk. Coomber says, however, that: ‘there are losses you can accept and others you can’t’. In the first category, it may be that the particular applicant loses on the facts but their case encourages another applicant who does have a strong case. Or it could be that the case itself sufficiently highlights the issues that the cause is boosted in the round. John Wadham, current Executive Director of legal NGO Interights, says of the sado-masochism case, Laskey and Others v UK: ‘Although ultimately the applicants lost, the case helped with the narrative and educated the public’. But even if an applicant wins there is no guarantee that this will result in changes to the law or policy changes that may be necessary to bring to life any judgment; implementation and compliance ‘success rates’ are low in many fora including the ECtHR. One researcher at the University of Pretoria in South Africa found that of the African Commission’s recommendations made at the time the research was conducted in the mid-2000s, only 14 per cent had been complied with by the relevant African states. A particularly fraught issue at present is funding for strategic litigation cases. Though many NGOs are privately funded through foundations, trusts, grants and similar, and can support the legal costs of a case in that way, other types of funding such as legal aid in the UK or conditional fee arrangements are also used. But both of these sources are under review. Recent changes to civil litigation rules mean that conditional fee agreements are less useful. And, of course, legal aid is also under intense scrutiny with the UK Government bringing in measures that have a direct impact upon the funding of judicial review cases. It is not only the legal costs of the applicant that need to be considered but the potential costs if an applicant loses and is subject to an adverse costs order. If an applicant is legally aided, then they are likely to have adverse cost protection –which makes legal aid even more important. The UK Government is critical of the way that judicial review is used and criticises NGOs which bring judicial review cases for strategic reasons and is proposing a series of reforms to limit this. The proposals originally aimed to change the rules on standing so that fewer organisations would be able to bring a case in the first place. Following consultation, however, this has since been dropped. Other proposals include giving the courts more power to dismiss cases which relate to purely procedural issues, and there are further proposals to change legal aid in judicial review cases such as requiring NGOs that intervene as third parties in judicial review cases to bear their own costs and the cost to other parties of their intervention, and giving the courts greater powers to identify non-parties who might be funding a case behind the scenes and ultimately to be able to make a cost order against them. Judicial review is the way in which issues of public interest can be ventilated, and considered carefully by an independent source, at arm’s length from policy-makers, who can be too close to their policies and too distracted by political necessities. Judicial review is a litmus test for what might be wrong in our systems. judicial reviews should not be concerned with the merits of decisions, but rather the lawfulness of decisions. It is not the court’s role to substitute its own judgment for that of the decision-maker. He is not alone in having these concerns and there has been considerable discussion in the newspaper op-ed pages as to whether or not courts (or rather judges) are being asked to overstep the mark in relation to checking the executive in such judicial review cases. Sumption’s arguments have been much debated, not least by Sir Stephen Sedley in a dissecting article in The London Review of Books a month or so after Sumption’s lecture. He defended the judicial record with ‘…examples of judicial authority recognising the inadmissibility of adjudication on political issues’ which he claimed were lacking from Lord Sumption’s lecture. He reiterated the distinction between the legislature which has ‘constitutional supremacy’ because of its democratic credentials and so could not be called to account, and the executive which is ‘subject to public law controls’ (and thus the scrutiny of the courts). Perhaps it is best to look at public interest litigation and its strategic use as a sign of a robust rule of law where the decisions of the executive are scrutinised: a source of pride rather than of vexation. As access to justice becomes increasingly frayed by reductions in the scope of legal aid, ever more pro bono lawyers are needed to propel such cases forward. This article first appeared on the International Bar Association’s website and is reproduced with permission and thanks. While I agree with much of the article in principle, there is a growing problem too of lawfare, i.e. the use of law to either revise existing law or create new law, usually – though not always – applied by pressure groups wanting to reverse developments in law or by unscrupulous regimes to attack groups or individuals whom they wish to pursue or persecute. What I have in mind is religious extremists who pursue largely spurious cases against individuals or organisations in pursuit of exclusivist status for themselves, such as Christian, Jewish or – potentially – Muslim orientated organisations or individuals. In the case of Christians, this may constitute an attempt to portray themselves as being “persecuted” or “victimised” in law. Ridiculous in the UK, of course, but this does not stop such spurious litigants from wasting the courts’ time in their ridiculous attempts to obtain some sort of positional advantage for themselves or their cause. Another example is the use of lawfare by individuals or groups promoting the Zionist cause, in particular in places like the USA or – most recently – in Australia, in the case of Professor Jake Lynch, who has supported the boycott, divestment and sanctions campaign against the Zionist state of Israel by refusing to support an academic exchange programme between his university and a university which is linked to the militarily occupied area of Palestine. In such cases, not only is there an attempt to attack ethical causes and individuals but there is also a deliberate attempt to use the law to financially bankrupt the individuals concerned. In such cases, the malign use of lawfare is something that may need to be considered in much greater detail in future.